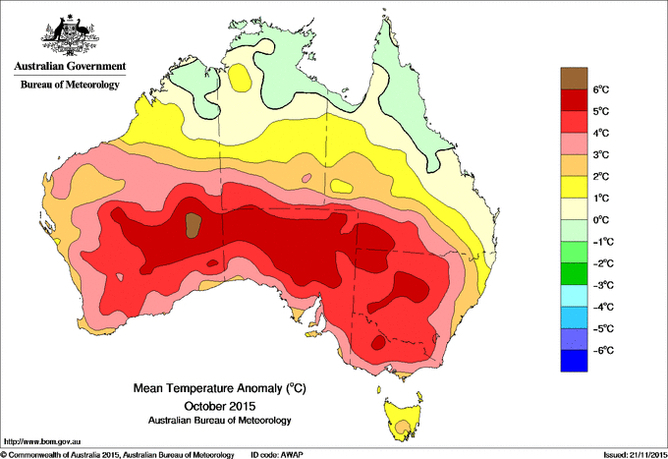 It’s been only a year since the record was previously broken, but 2015 stands out as an extraordinarily hot year. 2014, the previous hottest year, was 0.74°C above the global average. December 2015 marks the first time in the NOAA record a global monthly temperature anomaly has exceeded 1°C – it reached 1.11°C. In May 2015 carbon dioxide concentrations reached a monthly value of 403.9 parts per million (ppm) – the highest ever recorded. The average concentration of CO₂ in 2015 may exceed 400 pppm for the first time in human history. CO₂ is the one of the principal greenhouse gases responsible for human-induced global warming. 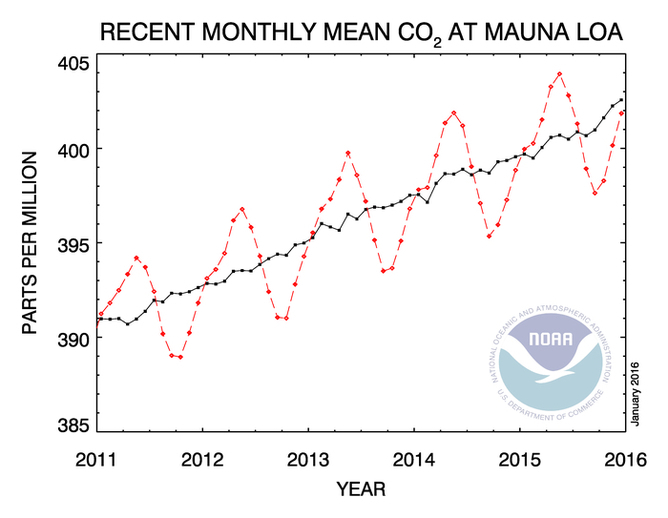 Carbon dioxide exceeded 400 ppm in 8 months in 2015. 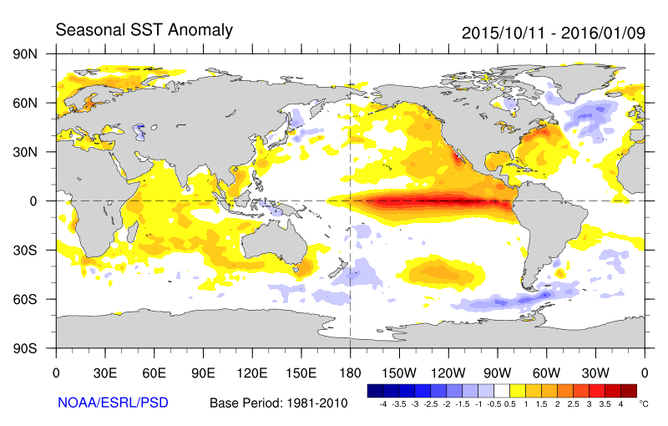 October 2015 warmest on record with largest temperature anomaly.